Heather Jones was just 11 years old when she experienced her first overseas adventure as a Des Moines exchange student visiting Kofu, Japan. 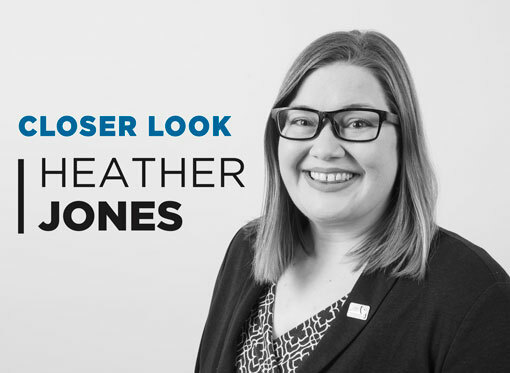 That experience led her to participate in many other sister-city opportunities that extended through college and as a young professional, which culminated in her being hired as executive director of Iowa Sister States in January. The nonprofit was founded in 1985 to provide a continuing platform to encourage and support Iowa’s sister-state relationships. Iowa entered into its ninth sister state agreement in 2013 with Kosovo. Iowa’s oldest sister state partnership, with Yamanashi Prefecture in Japan, began in 1960 when Iowa sent 36 hogs to farmers there as a goodwill gesture following devastating typhoons in Asia. Jones, who studied Japanese in high school and college, lived and worked in Japan from 2011 to 2015 before returning to Des Moines, and on many weekends would visit the family that she had lived with as a student in 1996. In the Des Moines community, Jones serves on the board of Urban Dreams and the executive committee of the Des Moines branch of the NAACP. What makes Iowa Sister States effective? We really start with the person-to-person connection. We get these relationships started and then international trade takes and runs with it because they’re the ones that have that background and know how to create those business contacts. …One of the things that citizen diplomacy really has the ability to do is it allows you to have wonder about the rest of the world. It really allows you to see the world in a new way. And it allows you to appreciate home in a new way, too. How did you get involved in Sister Cities early on? I had a teacher who really encouraged me to get involved with Sister Cities. And even though I had gone on the [Japan] exchange, she wanted me to learn more about the Des Moines sister cities. So I was a youth ambassador as a high school student. And then I ended up going to the Sister Cities international conference in Toledo, Ohio, in 2002. And so I ran for the Sister Cities national youth board seat with her encouragement. And then when I went to college, my internship was with the Kansas City Sister City Association. And my boss encouraged me to go to the Spokane conference and to run for the young professional seat on the Sister Cities board. And so I ran and I ended up serving on the board again, but this time as a young professional. What was your first professional position after graduating? I worked for a Korean company in Kansas City. They were starting their U.S. branch, and they wanted me to get the ball rolling. So I helped them start their U.S. branch, making sure that they had an accountant and all the things that they needed to be able to work with the U.S. government. And then I moved back to Des Moines and worked for a film distributor for four years, and then I moved to Japan and worked there from 2011 to 2015. Have you traveled much internationally since returning to the U.S.? Since I’ve been back to the United States I’ve been lucky enough to go to Canada for a little bit, as well as Mexico. And I visited Iceland because I have a cousin who lives there; we took a family trip there last year, and that was super fun. And I’m going back to Japan to visit some friends and family for a wedding this year as well. So that’ll just be for fun. Do you still use the Japanese you’ve learned? Yeah, I and I think I’ve had more opportunity this year than I ever thought that I would. With the Japanese contingent coming to town [for the Iowa Blue Ribbon Bacon Festival in February] it was definitely a test. I was like, “OK, this is going to be the real barometer of how much I’ve remembered.” And it went OK.
What was it like working in Japan? The company I worked for in Japan [Gaba Corp.] was a little bit unique, because they had people working there from over 50 different countries. And so even though we were teaching English, the break room was very much a place where a lot of times some real cultural exchanges took place. It was a really good opportunity for all of us to learn from each other. Sometimes the cultural differences would create tension, but then when we would realize it was just an opportunity for us to learn. That was probably one of the most unique things about my time in Japan, because I was constantly surrounded by people from everywhere in the world. It just really provided me an opportunity to put more lenses on in front of me to see how my way is not always the right way and to be able to talk through those things. What are some of your first-year priorities at Iowa Sister States? One of the things that I want to focus on is trying to make sure that the nine relationships that we have are as robust as they can be. But at the same time, if there’s an opportunity where we could partner with someone, then we would look into that. But we don’t want to just create relationships for the sake of creating relationships; we want there to be a reason and excitement on both sides. Because if everybody involved isn’t excited about the relationship, it just may not be very strong. Are there any initiatives coming up that you’re particularly excited about? Well, my first trip to Kosovo is going to be in May. We haven’t solidified the numbers yet, but we’re going to be taking a group over to introduce some of the sister cities from Iowa to their sister cities in Kosovo, which is always very exciting. What do you enjoy doing as a hobby? Where I get a lot of enjoyment is by spending time in the community. So I like to see what’s happening because there’s a lot of stuff that is really incredible. For instance [recently] Nisaa African Family Services had their International Women’s Day celebration. They asked me to speak, but I would have gone regardless just because I like the work that they’re doing, and I like being around those women because they’re fabulous. … And if I can go to concerts, I try to make that happen. I was a band kid growing up, and I had a lot of fun, and I played all through college, so music is a really big part of my existence. I played trombone.